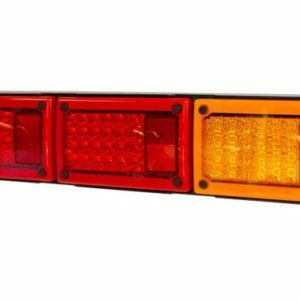 We supply a comprehensive range of LED REAR COMBO products. The reason Rear Light combo kits are a great safety feature that illuminates your vehicle. Providing high visibility and keeping you noticed on the highways. Easy to fit, cost effective and providing you that extra safety you deserve. High quality construction and materials ensures you will be supplied with reliable goods backed by a warranty. That’s the TKP Auto Electrical Parts promise.